Daily Photo. Mirrored by sidelobe. I'm suprised it took this long. 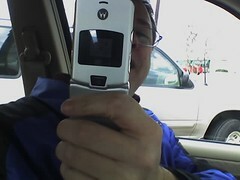 Is that a Razr? I just got the magenta one. LOVE IT!